Listen in as we review the films Binky Bill, The Queen of Katwe, Disney’s Beauty and the Beast: 25th Anniversary Edition, My LIttle Pony: Friendship is Magic: Soaring over Equestria, Storks, The Wild Life, and Sully. Hosts Gerry Orz and Morgan Bartsch are joined by KIDS FIRST! Film Critics Michelle, Mia and Kamhai. Before you spend your hard earned dollars at the movies, be sure to listen to what our youth reporters have to say. Listen in as we review the film Let Hope Rise, the new DVD Octonauts: Slime Time, celebrate Top Gun’s 30th Anniversary and discuss the Burbank International Film Festival. Hosts Morgan and Keefer are joined by KIDS FIRST! Film Critics Samantha and Shelby. Before you spend your hard earned dollars at the movies, be sure to listen to what our youth reporters have to say. Sully, Storks, Humpback Whales and more! Listen in as we review the new Tom Hanks film Sully, hear about Benjamin’s experience at the press junket for the new animated film Storks, Keefer’s discussion about the difference between audiences and critics and how they see movies, MacGillivray Freeman’s IMAX film Humpback Whales which is now available on Blu-ray. Hosts Gerry Orz and Keefer Blakeslee are joined by KIDS FIRST! Film Critics Benjamin and Na’im. Before you spend your hard earned dollars at the movies, be sure to listen to what our youth reporters have to say. 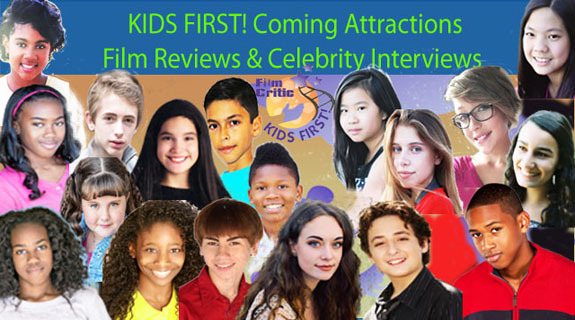 Posted in KIDS FIRST RADIO | Comments Off on Sully, Storks, Humpback Whales and more! You are currently browsing the KIDS FIRST! Radio weblog archives for September, 2016.